1. 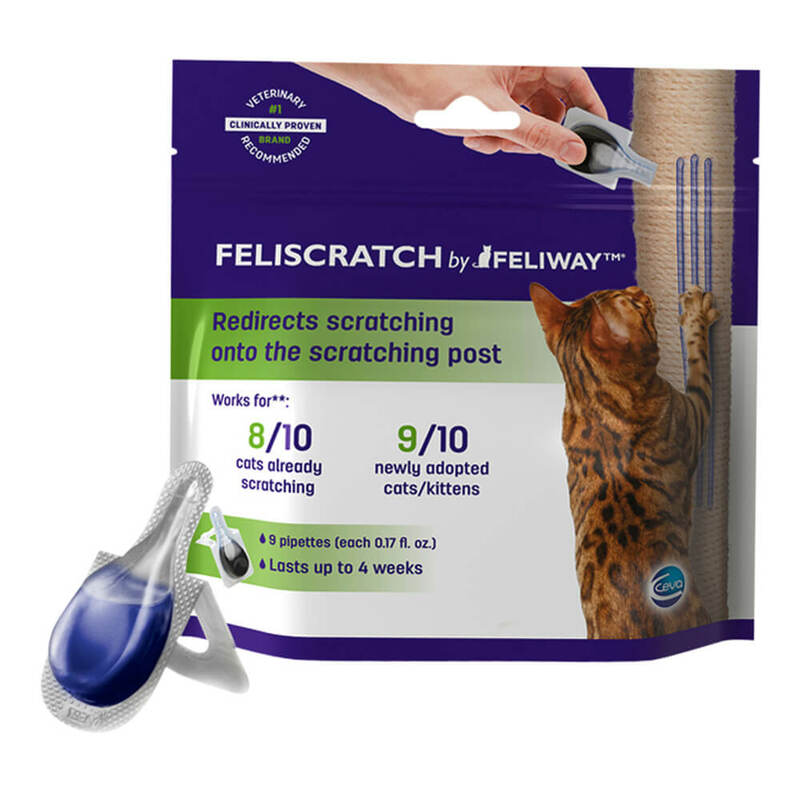 Simply apply the content of one pipette of FELISCRATCH by FELIWAY™ on the scratching post you want your cat to use, daily for the first 7 days, and then 1 pipette at the beginning of week 3 and 1 pipette at the beginning of week 4. 2. As a precaution to avoid potential spillage on fabrics, furniture or carpets, it’s recommended to place down your post on a sink or a newspaper and apply slowly, by drawing 2 or 3 lines that will mimic the natural lacerations made by cats. 3. 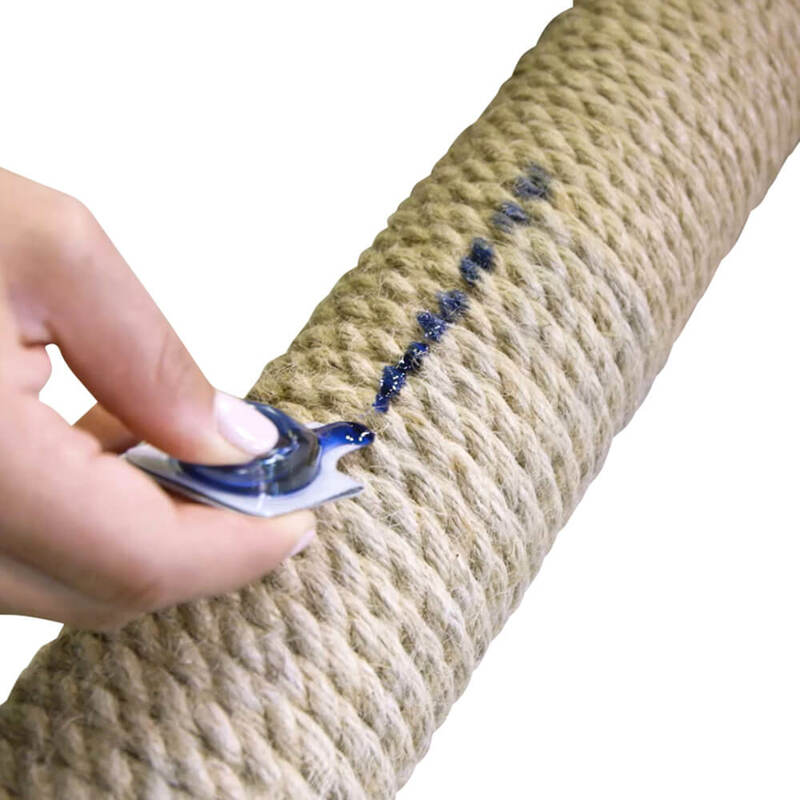 Wait for 5 minutes to allow to dry before installing your post vertically, preferably close to the area where your cat scratches, or where they usually rest. 4. If you have more than one cat, make sure each cat has its own scratching post to prevent competition access that could lead to unwanted scratching in your home. 5. 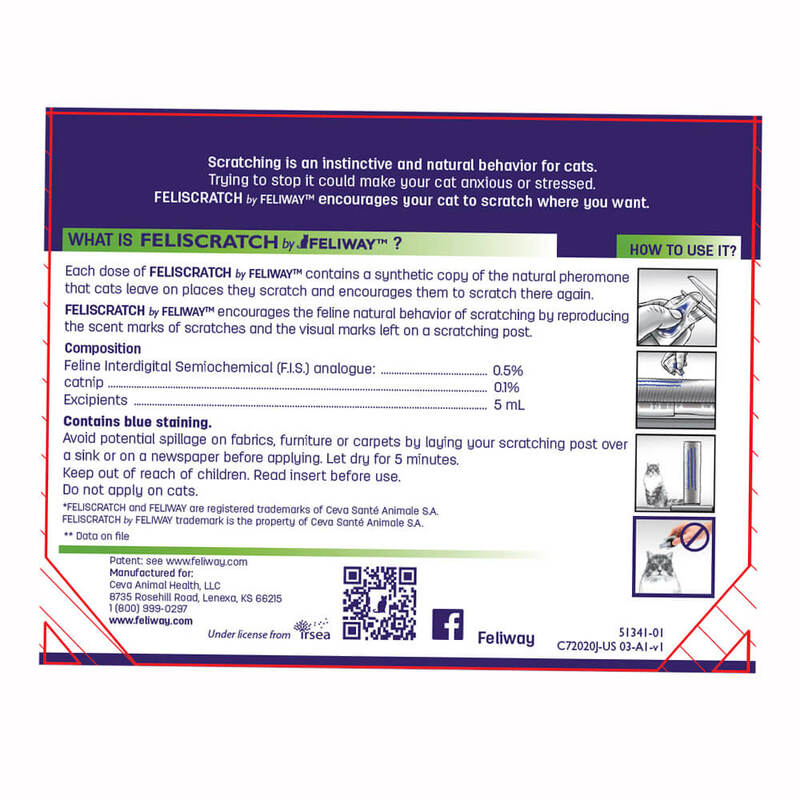 If after 2 weeks no improvement is seen and your cat(s) still mark on furniture, walls or doors with their claws, combine FELISCRATCH by FELIWAY™ with FELIWAY CLASSIC Spray, to prevent them to mark again these places. 6. Spray FELIWAY CLASSIC every day on these scratched locations, after cleaning them with warm water and allowed them to dry. Repeat daily application until resolution of scratching behaviour. FELISCRATCH by FELIWAY™ should continue to be applied once a week. 7. Remember! 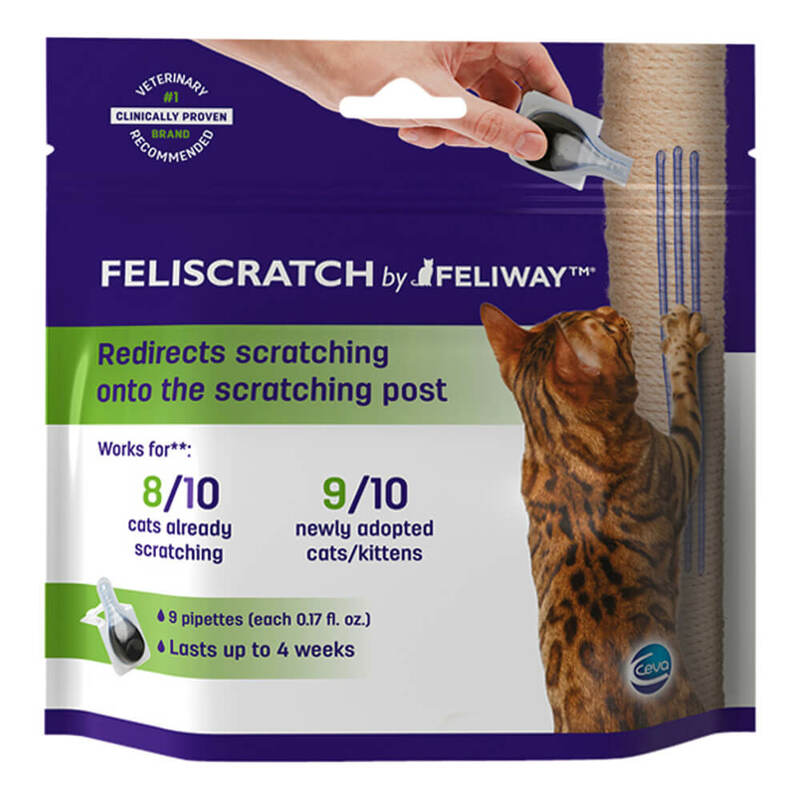 FELISCRATCH by FELIWAY™ should always be applied where you want your cat to scratch on. 8. Whereas FELIWAY CLASSIC Spray is to be sprayed where cat(s) should NOT scratch.